Dunorlan Park in Tunbridge Wells was a fantastic location for our family portrait session at the weekend. The children showed me places there that I hadn’t even explored yet and it was great to see how much energy and enthusiasm they had even though the weather was slightly overcast and the mud was thick from the rain. 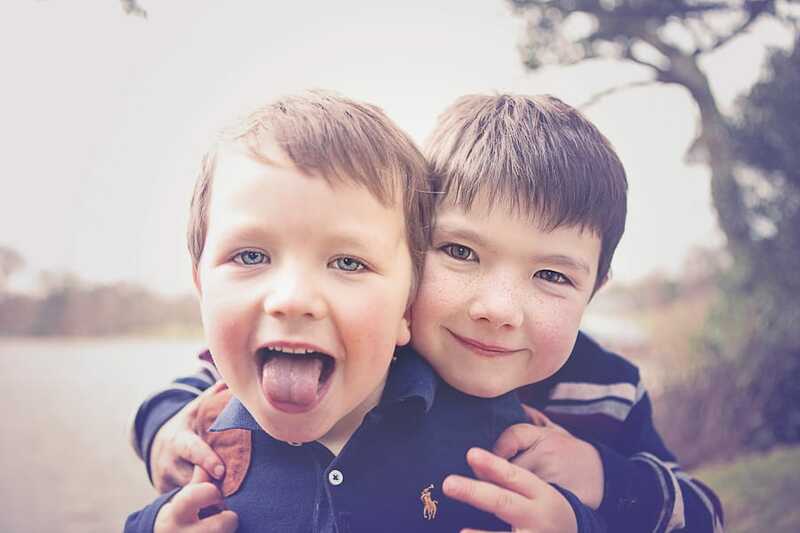 It is always difficult to choose just one image from the day, but I really liked the brotherly love shown in this picture of two of the boys together, taken by the lake in Dunorlan Park. Their mother told me as we wondered round the lake that one of the boys had said that he didn’t want to have any pictures taken when they were getting ready at home. Given the opportunity and realising that it was just a normal day at the park he was happy to pose and joke in front of the camera. Its great getting to know new families, the story behind how they met and what their children are into. My aim is to capture the things they enjoy at the moment, so when they look back at the photographs in years to come, they are full of happy memories. I prefer to start early in the day to capture the best out of your children, and we will spend the morning together so that the day naturally unfolds and your children get comfortable with the camera at their own pace. Often I find by the end of a photo session, the children are chasing me to take photographs of the things they like doing best, whether its climbing a tree, jumping off rocks, pulling funny faces or racing each other in the park. Portrait sessions take place either on the Forest or a location you like to go to as a family. If you’re interested in a relaxed portrait session that records your family memories then send me an email at mimi@mimivp.com or get in touch via the contact form, and we’ll book something in.